"Amazing service from start to finish! Big up Phil our driver, great guy. Coach was very clean... Booking and communication faultless throughout... and price was the best. Thanks again!" 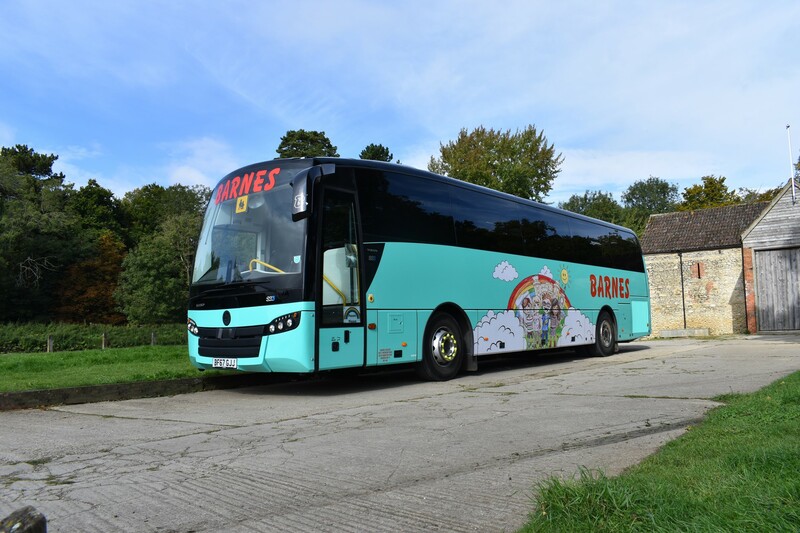 "Our 5th holiday with Barnes travel, and yet another great experience! Staying in the 4 star Radisson Blu hotel in Durham, we (my friend and I) enjoyed every moment of the 5 days, and had an absolutely wonderful time. Our coach was comfortable, clean, and as always the journey was good. One small item of note is that we had no Wi-Fi on board!! Usually we enjoy looking up the route as we are travelling, and sending messages (and posts on Facebook) to our friends and family, but unfortunately this time we couldn't.....I asked our driver, Phil, about this and he explained that Barnes are no longer offering free Wi-Fi connections to their travellers because of costs. I fully comprehend this, but as all the coaches advertise Wi-Fi on the livery, perhaps you should advise us that this service no longer exists? Not a huge problem, but having had this service on every trip, we missed it...... Other than that we had absolutely no problems. As regards our driver, Phil was excellent. He was friendly, courteous, informative at all times, and made sure everyone was happy with their rooms and services in the hotel. (And so smart, he could have been chauffeuring VIPs around, instead of a coach full of 'ordinary folks'.....this was noted and remarked upon by all of us on board.) We enjoyed his company, and would very much hope to see him on other holidays we may book in future. Our tours on this holiday were very good. Beamish Open Air Museum lived up to its reputation! A wonderful day out, despite leaden skies and a bitter cold wind- but no-one can control the weather, so we made the very best of it, and hopped on and off of the varied vintage transport available. The free day in Durham is good because we filled it with a walk up to the city, the Cathedral, and the Castle area. No shopping! We can do that at home..... Our final full day took us, with a local guide, out to the Yorkshire Dales. Beautiful scenery awaited us, and our guide was so full of information and local knowledge (even down to where to eat/have a coffee/and where the clean toilets were located (always worth knowing!!) It's always good to know what you are looking at, and where historical events have taken place. This was a very nice touch. Wensleydale Cheese was purchased at the Factory, and delicious ice creams enjoyed where they were made, in the middle of nowhere in the wonderful April sunshine. Our journey home was broken with a stop in Thirsk at the World of James Herriot museum. Well worth seeing for fans of the television programme 'All Creatures...' etc, and for the readers of his entertaining books. All in all a fabulous holiday, well worth the cost, and highly recommended to all. (May even do it all again another year?) 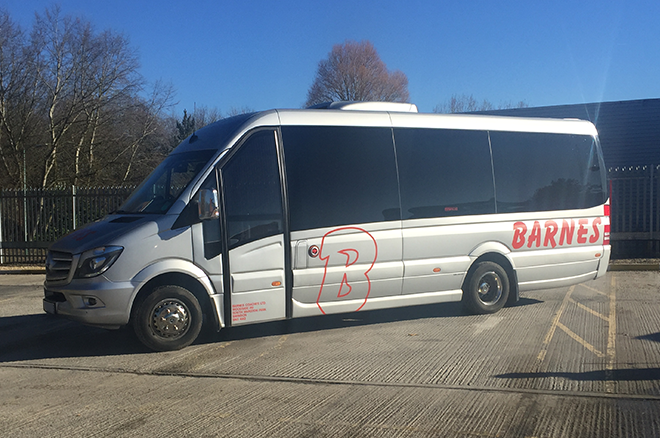 Thanks to our driver, Phil, everyone at the Radisson Blu, Durham, and all at Barnes who make these holidays possible and so enjoyable. Our 6th Barnes holiday will take us to Tenby in early October, so we're looking forward to it very much, and hoping it is just as enjoyable as the previous ones have been..... I am sure it will be!" "Fantastic journey all round! 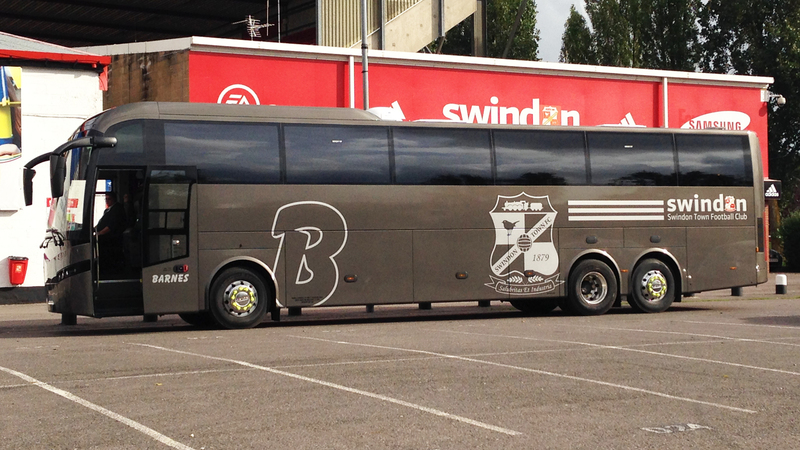 Coach turned up early for both the pick up and the drop off, was happy to wait for everyone to get on/off, and didn't mind the singing on the way back. Thank you!" 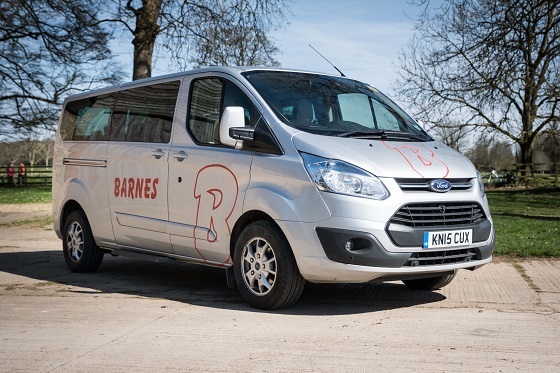 "Great service from start to finish, very easy booking, very polite and accommodating driver and comfy clean mini bus Would definitely recommend"
"Two very smooth, comfortable journeys for our kids rugby tour, with two experienced, professional and friendly drivers, Malcolm and Martin. We really couldn't have asked for anything more. Nothing was too much trouble and they were very patient with lots of noisy and excited children! A big thank you to both of them. 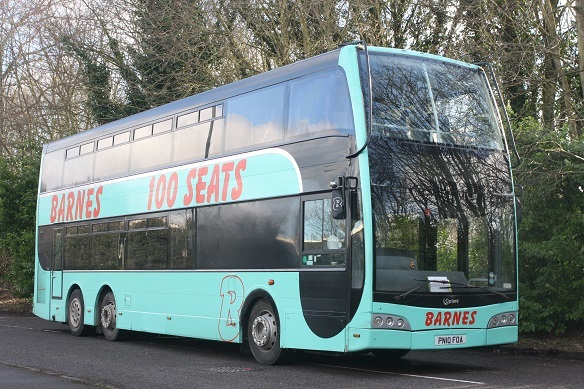 This is the second year we have used Barnes for this tour and have had a great experience both times." "Jason was at our departure point in plenty of time and gave everyone a friendly greeting. We had a great drive to Excel Centre in London - no delays and bang on time. Jason was amiable , knowledgeable and helpful. He gave clear instructions about pick up and timings. Although we thought we had a 30 seat coach booked our vehicle was much larger and gave people the chance to spread out. It was exceptionally clean and comfortable. HIGHLY RECOMMENDED." 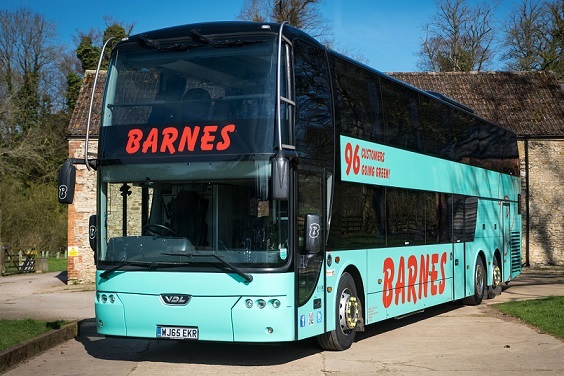 "Josh was our driver taking the Wanborough Theatre Club to The theatre in Bath on the 2nd April...He arrived promptly and was smartly dressed.. the coach, which was one of the loaned white ones, was clean and tidy....and comfortable but not quite as nice as the real Barnes coaches! He drove safely and carefully both there and back...Thank you for another great journey...."
"Brilliant service. Professional , helpful and courteous. Josh our driver was exceptional and couldn’t have wished for better. Would definitely use this company again."